There’s a reason people choose to dine with A Single Taste – and it’s not just our delicious canapés. We asked our guests a little bit about themselves so that you know who you’re about to fall head over heels for. A sizeable 81% of our guests call Cape Town home, with 5% hailing from Durban and 14% from other parts of SA. 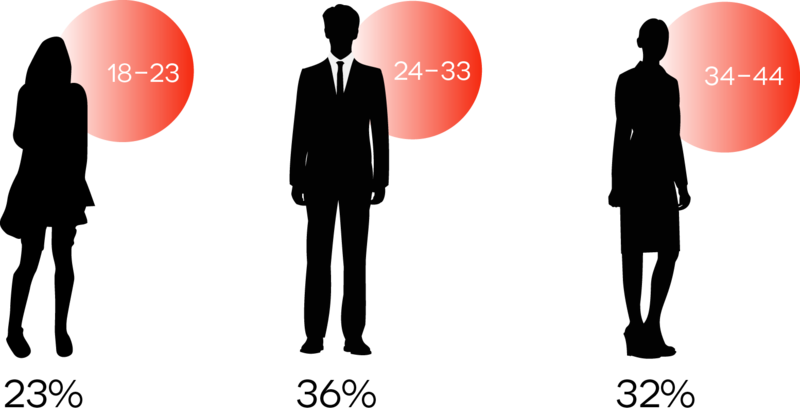 There’s someone for everyone tonight with 36% falling between the age of 23 and 34, 32% between 33 and 44 and 23% between 18 and 24. Our guests come from far and wide, work in tons of different industries and aren’t afraid to put themselves on the market. From editorial assistants, marketing consultants, project managers and editors to financial advisors, sales directors and legal advisors, the guests at A Single Taste show us that you’ll always have something in common with whoever offers you a drink. Who said the world of dating didn’t offer a little variety? Want to dig a little deeper? Our guests have been up to some exciting things. From paragliding, kloofing and skydiving to fire-marshal training, swimming with dolphins and embarking on summer romances, nothing is ordinary about the people you’re about to meet.